Thank you for the past papers.They are very resourceful for revision.God bless you. Thank you for the past papers.They are very helpful for revision. Allow me to appreciate your good work that you are doing to ensure that your clients are satisfied. Please, may you kindly provide me with May 2018 Financial Reporting past paper, I’ll really appreciate. Thanks a lot. Wishing you a wonderful evening. kindly assist me on how i can acquire ccp section six notes and revision kit please. can someone access part ll past papers as from 2008? Thank you for your support. Am a distance learning student not attending any lessons. I have failed twice in public finance and taxation, even after reading your notes. 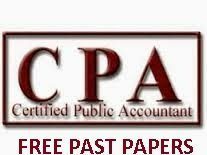 To me l feel it is not fair but please could you help me with the answers to the November 2017 paper public finance and taxation. God bless you people ,I appreciate for good work you are doing .I don’t know if you are in a position to send me quantitative analysis ,financial reporting and company law papers 2017 may email makorijoshua10@gmail.com.kindly i will appreciate . Can I access June 2011 Financial reporting? Can one get marking scheme for these papers?